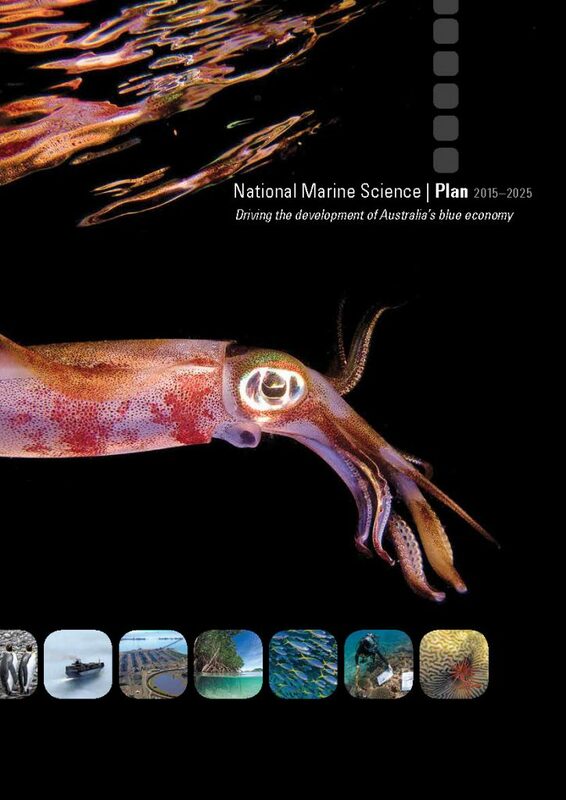 The National Marine Science Committee launched the National Marine Science Plan on 11 August 2015 at Australian Parliament House. The Plan draws together the knowledge and experience of Australia's marine research organisations, universities and government departments and more than 500 scientists. The Plan outlines the science needed to provide the knowledge, technology and innovation cornerstones that will grow a sustainable blue economy. 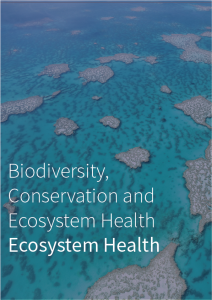 Our oceans have a very large number of stakeholders, particularly if we include all those Australians who expect their coasts and oceans to be healthy and productive. The Plan is a call to action, to the nation’s marine scientists, but also to all those who will benefit from a strong marine science sector that is dedicated to working with governments, industries and communities in the mission of ensuring that we get the most out of our marine estate while protecting the things we all care about. Used wisely, Australia’s ocean resources can generate increasing wealth, food and energy and support sustainable living for generations. 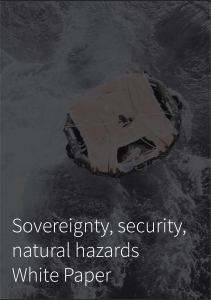 Marine sovereignty, national security and safety at sea requires accurate information about the ocean, atmospheric and geohazard domains. This is to support prevention and compliance activities from global to nearshore spatial scales, and on timescales from weeks to hours. Existing but limited bluewater, tsunami and hurricane forecasting capacities require long-term commitment to develop a national operational oceanographic and geohazard forecasting capability, with an enhanced coastal and littoral zone component. These operational forecasting and reanalysis systems will predict deepwater, seabed and shoreline conditions and will be able to provide a clear indication of the reliability of the forecast. These aspirations will need to be supported by a wide range of observations, collected both remotely and in situ, to feed into forecasting and compliance systems.  The NMSC identified eight theme areas (drawing on the Grand Challenges and Opportunities identified in Marine Nation 2025) that were used to focus the development of the National Marine Science Plan (NMSP). Each theme was led by experts in the particular area, drawn from Australia's marine science community. Click on the cover(s) below to download the relevant white papers for this 'grand challenge'. 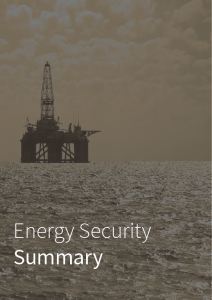 Energy security for Australia means accessing affordable, reliable, sustainable, and diverse energy sources to underpin the domestic and export economy. In the context of the national marine science plan, energy security will require understanding the origin, location, and accessibility of energy resources: either beneath the sea floor in geological structures, or as wave energy within the water column, or as wind energy at the water column/atmosphere interface. The impact of developing any energy resources on the biophysical world must be evaluated before any exploitation; and this requires detailed data and knowledge. With respect to conventional oil and gas, Australia’s vast marine estate of 13.5 million km2 is largely underexplored—less than 20% (by area) is under permit—and the potential for wave, wind and current energy is only beginning to be evaluated. Technological advances have allowed petroleum exploration in progressively deeper waters (current limit in Australia is 3000 m), and there is also a move to in situ processing in the form of floating facilities and, potentially, subsea structures. Against this background, Australia’s marine estate is home to a range of significant and highly biodiverse ecosystems: thus the complex inter-relationships with potential energy resources requires systematic documentation and analysis. It is proposed: that the following science questions must be addressed: collaborative, cooperative science via a virtual marine science centre utilising the RV Investigator will ensure a successful outcome. Click on the covers below to download the relevant white papers for this 'grand challenge'. 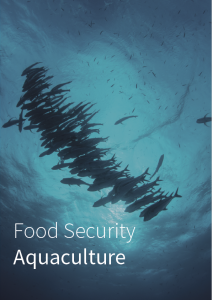 Marine and inland fisheries, together with aquaculture, provide an important contribution to food security and nutrition. They are the primary source of protein, and essential nutrients, for around 17-20 percent of the world's population, and nearly a quarter in low-income food-deficit countries (FAO, 2014). It is estimated that more than 158 million people in the world depend directly on fish-related activities (e.g. fishing, fish farming, processing, and trading) (HLPE, 2014). Australian seafood includes scallops, prawns, crabs, squid, coastal fish such as whiting and flathead, reef fish such as Coral Trout, and oceanic tuna and billfish. Over the past decade, Australia's wild capture fisheries and aquaculture production has generated, on average, $2.4 billion a year. In the 2012–13 financial year, fisheries and aquaculture produced approximately 233, 000 tonnes with wild-capture fisheries contributing $1.4 billion and 157,000 tonnes of the total value of Australia's fisheries production, and aquaculture producing $1 billion and 80,000 tonnes of seafood for local domestic and export markets. Our fisheries are sustainably managed and our fish stocks remain healthy (Flood et al, 2014). Australia’s fisheries and aquaculture industry is relatively small by global standards – but this need not be the case. Australia’s marine and land assets combined with location present opportunities for production of a range of seafood products – tropical to temperate. This added production will provide for both domestic and export markets. In addition to seafood products Australia will be able to utilise and market a range of services and knowledge that are associated with food production covering fishery science, production and management systems. Another significant factor to consider is that of the major global food sources, aquatic products are predicted to have the largest real price increase. The greatest growth for these products is expected in Asia, particularly in China. to use our knowledge to build capacity and provide services to regional neighbours. identify and implement what needs to be done to achieve sustainable fisheries and aquaculture in order to strengthen their positive impact on food security and nutrition (i.e. documents short term and medium term needs for Capture Fisheries; Aquaculture; Aquatic Animal Health and Biosecurity; and Food safety and innovation with the needs of Indigenous, recreational, commercial and conservation incorporated). identify a number of cross cutting research needs, notably to develop methods to better integrate coupled socio‐economic and biophysical approaches to resource assessment, including cumulative impacts; and the need for research on social license to operate and define activities necessary to support debate around acceptable impacts and environmental standards. highlight that fisheries and aquaculture are only two of many users of the aquatic environment, and that food security is linked inextricably with multiple-users across all theme areas identified by the NMSC that will be the focus of the national Marine Science Plan. It is critical that these associations are identified, acknowledged and managed. 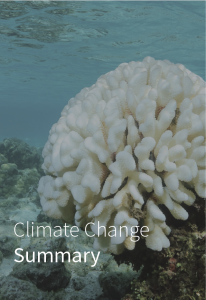 Climate variability and change impacts all aspects of society and both the marine and terrestrial environment. Heat, water, carbon and nutrients are the fundamental elements of the climate system and the ocean is the dominant reservoir for all four constituents. 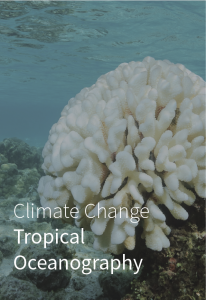 To understand the climate system and its impact on society and the natural environment, we must be able to observe and model its oceanic branch including the storage and transport of heat, freshwater, nutrients and carbon in the ocean, and their exchange to the atmosphere and marine and terrestrial ecosystems, at global, regional and local scales. 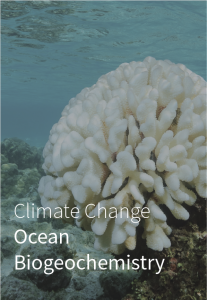 Given the diversity of marine climate variability and change likely to impact Australia and surrounding regions the end-users of the science also span a diverse group from international non-government organisations, international, national, state and local governments, national defence organisations, tourism, agriculture, fisheries and aquaculture, off-shore oil and gas and renewable energy industries, marine parks and regulatory authorities. The research undertaken by this science community underpins development of climate products and services needed by industry, the public and policy makers. 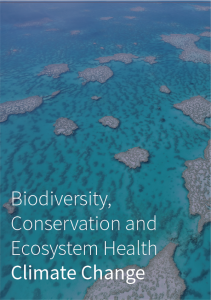 Following a national call, a dozen white papers were submitted under this theme on topics including biodiversity discovery and classification, biodiscovery, biodiversity conservation and threats, ecological communities and processes, and the management of goods and services from Australian marine ecosystems. In most of these areas, Australia has world class expertise and demonstrated international influence as measured by publication metrics, technology transfer, and contributions to global programs. There are also weaknesses in the national fabric. Although Australia is a leader in the implementation of spatial management for marine biodiversity conservation, completing a National Representative System of Marine Protected Areas in 2012 for the world’s third largest marine jurisdiction, only a very small percentage of Australia’s EEZ is mapped with high accuracy. Fundamental knowledge is missing for most marine species and ecosystems. On best estimates, >80% of Australian marine biodiversity remains undiscovered or undescribed. The immense task of cataloguing and classifying the unknown marine biodiversity is challenged by the shrinking workforce of marine taxonomists. The same loss of expert capacity simultaneously increases the biosecurity threat from non-indigenous marine species being imported to Australia by international shipping. While invasive marine species have great potential to inflict economic damage and/or degrade ecosystem function, inappropriate development in the coastal zone has done this already in many Australian estuaries creating the need for urgent ecosystem repair. The extremely high marine diversity providing ecosystem functions and services across a wide range of marine seascapes in Australia’s marine jurisdiction is challenged by multiple anthropogenic and natural pressures that are rarely appreciated until their cumulative impact becomes evident in large-scale change or extreme response. Long-term ecological research and monitoring, combined with experimental studies on processes and responses to environmental changes in a warming ocean is required to inform marine managers about the status and trends of key assets and values in ecosystems under management. Australia has committed itself through many international covenants to preserve its unique natural values and to manage its resources wisely through ecologically sustainable development. Regrettably, evidence is accumulating that the Nation is not meeting these goals. Stakeholders with an interest in viable commercial fisheries have embraced the concept of adaptive ecosystem-based management (EBM) as the first step to Ecologically Sustainable Development (ESD) of the marine environment. Although not a new concept, natural resource managers implementing EBM will require a new generation of decision support systems supporting evidence-based decisions. These new software tools will be extremely hungry for data, requiring multiple long-term data streams on ecological, social and economic indicators. Greater transdisciplinary collaboration, research partnerships and investments in capabilities, infrastructure and funding are required to realise this vision. Australia is an urbanised and a coastal nation with over 80 per cent of its population living within 50 km of the coast. Our coastal urban environments provide economic wealth and are the location for most of our transport, commercial, residential and defence infrastructure. They also fulfil important cultural, recreational and aesthetic needs, have intrinsic biological diversity values and provide essential ecosystem functions such as primary productivity, nutrient cycling and water filtration. Australia is in a period of pronounced economic development with a focus on resource extraction and infrastructure development, much of it centred on coastal hubs. The great challenge for coastal managers and policy makers is to balance multiple competing uses, and the impacts of those uses. Ten key science challenges are identified. Strategic coastal research, both applied and basic, is essential to underpin the repair and ongoing management of these high value ecosystems for improved productivity and enhanced cultural and conservation values. Better characterise coastal habitats, environment processes and define envelopes of natural variability. Understand catchment contaminant pathways and define thresholds of concern. Address cumulative impacts and identify important stressor interactions. Understanding connectivity and resource use. 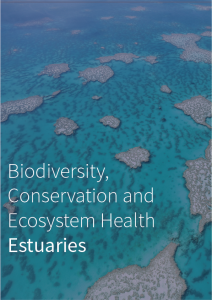 Understanding the impacts of the continual degradation and loss of coastal and estuarine habitats, including consideration of the loss of productivity and ecosystem services, is required. Develop, test and apply eco-engineering approaches. 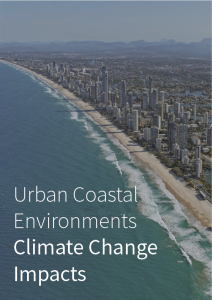 Develop methods to mitigate coastal hazards. Improve data coordination and discoverability. Support the development of urban/coastal industries. 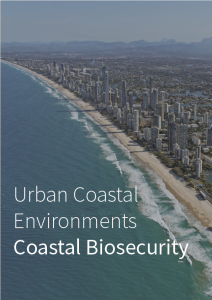 Specific science priorities for urban and coastal environments for the next 5, 10 and 20 years are identified in sub-theme papers on contaminants (Apte et al., 2014), biosecurity and non-indigenous species (Piola et al., 2014), climate impacts (Bishop et al., 2014), recreational fishing (Griffiths et al., 2014), indigenous research (Bayliss et al., 2014) and green engineering of coastal infrastructure (Dafforn et al., 2014). The Urban Coastal Environments White paper details mechanisms for meeting our great challenges. These include requirements for infrastructure, facilities, training, funding, coordination, information access and knowledge transfer. Some of the needs of urban coastal research are similar to those that emerge under other NMSP themes and we encourage a process whereby complementary and synergistic demands are identified across themes. Following this we believe it will be easier to identify unique demands that require a distinct program of prioritisation and realisation. Profound uncertainty, lack of succinct property rights and the contested values of key stakeholders make the allocation of marine resources a wicked problem. The imperative for development of more technically and socially robust approaches to resource allocation is evident in the declining trend of some biological stocks and other natural capital, and the commensurate intensification of debate over depleted resources. Ineffective governance and management plans that are opposed by key stakeholders inevitably lead to high transaction costs and rent-seeking, as stakeholders dedicate more of their resources to lobbying and positioning, and less to production and enjoyment. Costs are also borne by taxpayers as bureaucracies struggle with crippling complexity. Where poor decision-making stems from alarmism, the costs are disproportionately borne by industry. Where decisions are underpinned by false assurance, overconfidence, or undue optimism, the costs are borne mainly by the environment, and those who seek to protect it. Investment in improved methods and frameworks for resource allocation is vital for management of Australia’s marine estate. Poor problem formulation. Research priorities here involve integration of social and economic interests with environmental issues and concerns, including development of tools and platforms that are open to wide stakeholder engagement. Complexity in socio-ecological systems. At times, there may be a tendency to over-complicate decisions, leading to ‘paralysis by analysis’. Accessible, simplified tools for estimating the cost-effectiveness or the cost-benefit ratio of alternative policies or actions are available. Further refinement of these tools, including road-testing their merits in marine settings, is a priority. In more complex and high-stakes decision settings, there is an acute need for advances in statistical and mathematical modelling of biophysical processes to be coupled with improved sophistication in socio-economic modelling. Misplaced emphasis on strict optimisation. 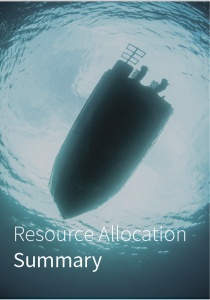 Many resource allocation problems are not readily amenable to traditional optimisation methods. Poor resource allocation may stem from failure to recognise the full suite of social, cultural and economic interests in the resource and reluctance to confront difficult trade-offs. Approaches that make these trade-offs more may be more effective than those that submerge the need for compromise. Inadequate governance structures. There is a need to develop governance arrangements and institutional capacity in a way that generates socially, economically, ecologically and politically viable solutions that are robust to a range of plausible futures. Collectively, a dedicated and substantial research agenda can secure clear gains in efficient and equitable allocation of resources, reduce transaction and rent-seeking, streamline planning and approval processes, improved transparency for decision processes, deliver better social, economic and environmental outcomes via enduring policy, stable governance and social and economic stability, and improved social license to operate. These gains will be magnified to the extent that governments and other decision-makers commit to coherent and structured approaches to resource allocation. The Plan provides a set of recommendations for science that will be at the heart of dealing with these challenges. The aspirations of this decadal plan will not be realised with ‘business as usual’ marine science. It will require some fundamental and generational shifts in the way we teach and learn marine science, the platforms and technologies we use at sea and in the laboratory, and the processes through which we plan and deliver marine science. focus marine science effort at the front end of regional development cycles, like those we are about to see in northern Australia. The National Marine Science Plan recommends that a National Marine Baselines and Longterm Monitoring Program be established and supported as a partnership between the Commonwealth and states. This would provide the basis for systematic exploration, mapping and characterisation of our marine estate, and for monitoring the condition of key assets. For example, the Great Barrier Reef, the Commonwealth marine reserve system, state marine protected areas, major ports and urban embayments. • provide a basis for reporting the state of the national marine environment and the impact of cumulative pressures on high-value systems. key social and economic data. Marine conservation measures should routinely include provision for performance (outcome) monitoring. This will help facilitate the establishment and ongoing support for a National Marine Baselines and Long-term Monitoring Program. 3. Facilitate coordinated national studies on marine system processes and resilience to enable understanding of development and climate change impacts on our marine estate. To make good decisions on sustainable development and adaptation to climate change, we need to take into account all the components of the marine system: biological, physical, social and economic. • climate change, including ocean acidification. We urgently need to improve knowledge of the key processes that underpin system function to understand the limits to resilience and adaptation in our diverse range of marine ecosystems. We also need to better understand the cultural, political, social and economic drivers, which will be critical to developing policy and management responses by government and industry. Given the scale and complexity of this challenge, the community must focus its efforts and take a more collaborative approach. 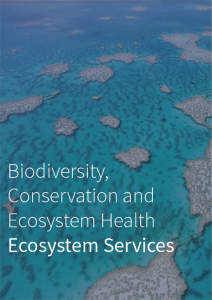 Therefore, we recommend that the Australian marine science community establish an agreed set of ecosystems and regional foci where coordinated and intensive studies of ecosystem processes and resilience would be concentrated. It is also recommended that we enhance the capability of the marine science community to investigate the key elements of marine systems in each of the chosen focal areas. We need to do this by establishing strategic collaborative partnerships between universities, research agencies, citizen scientists and end users in the private and public sectors to fund and conduct the research. 4. Create a National Oceanographic Modelling System to supply the accurate, detailed knowledge and predictions of ocean state that defense, industry and government need. This modelling system would serve the broad range of Australian Government regulators and operational agencies, marine industry sectors (offshore oil and gas, shipping, fisheries, aquaculture and tourism) and public users that require accurate, detailed knowledge and predictions of ocean state, including currents, waves, temperature, salinity, pH and productivity. It would use and assimilate data collected by a sustained and expanded IMOS and our national research vessel fleet, and also draw in the significant observational data collected by industry as part of their core business. Given the scale of this challenge, and the depth of capability across academic institutions and publicly funded research agencies, we recommend that a national research focus on operational oceanography be established to ensure timely delivery of this significant national capability. 5. Develop a dedicated and coordinated science program to support decision-making by policymakers and marine industry. Over the last two decades, the development and governance of marine and coastal assets has increasingly been a contested space for industries, governments and communities. These contested values and aspirations have often led politicians and regulators to make inherently difficult choices, at times without conclusive information on the risks and benefits associated with their decisions. 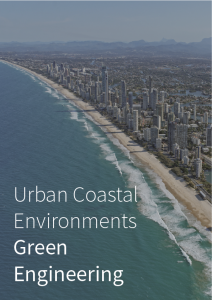 As we continue to develop our blue economy and urban coastal fringe, advances in decision science, and risk and systems modelling methods offer great promise. This promise is also driven by the growing awareness that better decisions and outcomes are based on integrating biophysical, economic and social data. Industries, insurance companies, regulators and local government authorities all stand to benefit from this enhanced capability. It is recommended that the marine science community work with planners and managers from government, industry and nongovernment organisations to develop and refine decision-support tools that will translate knowledge and data into useful information for effective decision-making. In particular, it is recommended that these efforts focus on better decision- support for cumulative impacts and conflict resolutions in multi-use systems, and for the integration of social and economic consequences and social acceptability of impacts. Integrated governance frameworks would support the implementation and uptake of such decision-support tools. 6. Sustain and expand the Integrated Marine Observing System to support critical climate change and coastal systems research, including coverage of key estuarine systems. The National Marine Science Plan recommends that Australia’s Integrated Marine Observing System be sustained as a national provider of open ocean and continental shelf observations, and expanded to serve as the national provider for estuarine and coastal observations. Improved and sustained observations of these systems are essential for many of the key research foci identified in this Plan. Additionally, we recommend that a guaranteed proportion of time on the RV Investigator and coastal marine research vessels be allocated to IMOS to ensure that the national observing system networks can be deployed and serviced at required intervals. Marine science research training is weighted towards specific disciplines that do not always match the future needs of industry or government employers. We also need to ensure that the training produces graduates that have highly developed numeracy skills and the ability to engage effectively with stakeholders. Australian training of PhD students focuses on the research topic of the candidate’s thesis. This often limits opportunities for cross-disciplinary training and provides little formal structure for training in basic science technology, engineering and mathematics skills. It also does not facilitate training in a mixture of natural and social sciences, which is increasingly critical for environmental scientists. These issues are partly a consequence of historical trends in training demands for different disciplines, but they are also a consequence of the formal structure of research training. To make training more quantitative and cross-disciplinary, we may need to introduce formal teaching components into PhD programs. We may also need to change the current duration and basic structure of postgraduate programs, which are built around three-year PhD scholarships. Similarly, to ensure that the marine science graduates are job-ready for careers in marine industries, more formal connections between industry and universities are needed. Cadetships, internships, industry- sponsored postgraduate and postdoctoral scholarships provide an opportunity for students and early- career researchers to understand how their skills can be applied, and learn the very different drivers of research and development in the commercial world. 8. Fund national research vessels for full use. To achieve the goals of this plan, we need the funds to operate Australia’s new world-class, marine national facility, RV Investigator, for 300 days per year. Given our Antarctic territorial claim, we also need to fund the national icebreaker, Research/Supply Vessel (RSV) Aurora Australis, to support a significant increase in marine science throughout the eastern Antarctic sector of the Southern Ocean. Over the next decade, we will need to replace our ageing coastal research fleet, which is operated by government agencies and universities. To ensure that the nation gets the most from existing vessel capacity, we recommend that operators of coastal research vessels increase the opportunities for collaborative use across the Australian marine science community, particularly for areas identified in this Plan as a high priority. Models for sharing international research vessel capacity should also be explored. All documents on this site remain the property of the relevant authors. These documents should be cited if used in research or for other purposes. All images on this website have been contributed by NMSC Members, or are fully licensed through Adobe Stock and Shutterstock.